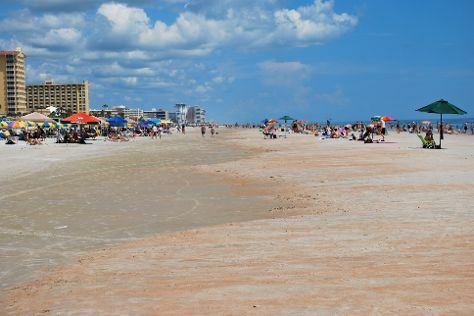 You'll explore the less-touristy side of things at Beach at Daytona Beach and Ponce de Leon Inlet Lighthouse & Museum. International Drive and Derek Gores Gallery are good opportunities to explore the local culture. Explore the numerous day-trip ideas around Orlando: Floral City (Florida Artists Gallery & Floral City Heritage Museum and Country Store), Cocoa Beach (in Cocoa Beach) and Ormond Beach (Ocean Art Gallery & Ormond Beach). There's still lots to do: revel in the low prices at Orlando Vineland Premium Outlets, shop like a local with Galleria di Vetro, browse the different shops at The Florida Mall, and make an unforgettable trip to World of Disney. To find photos, maps, ratings, and more tourist information, use the Orlando online tour planner . In May, plan for daily highs up to 88°F, and evening lows to 69°F. Wrap up your sightseeing on the 16th (Thu) early enough to travel back home.